I am carrying a skin care line that I really like. LeMieux Skin Care. They have excellent state of the art products and the prices cannot be beat. The first feature I love about LeMieux is that instead of using water as many product lines do, they use Hyaluronic Acid. That is the first anti-aging benefit. The elite group behind Le Mieux includes expert cell biologists, medical doctors, pharmacists, as well as organic and cosmetic chemists. From their vision, Le Mieux developed groundbreaking skincare innovations that regenerate skin from deep within the cellular matrix, providing healthier, visibly younger skin. Le Mieux Epidermal Growth Factor (EGF) is widely recognized by both medical and aesthetic professionals today. As our skin matures, the process of effective cell renewal diminishes rapidly and efficiency along with the loss of cell communication. EGF technology crucially improves this communication allowing older cells to replicate a nutrient-rich version of their cells to restore and rebuild a striking, youthful brilliance. They request you call for pricing. 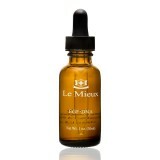 Many A list celebrities use Le Mieux for their skin care needs. Products for acne, antiaging, pigmentation and more. You need to call to order. 866 568-8858 They are not sold online. I have products for my clients only.